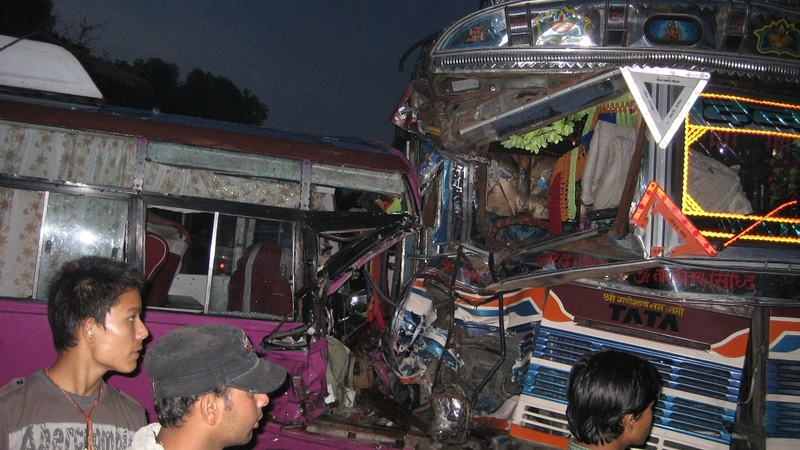 Clash between a truck and a bus at Bimalnagar. The road has steep turns at certain places and we encountered 4 different accidents on the way. Both drivers were critically injured. We often find such mishaps on the way due to careless driving of heavy vehicles.